Hotel Naman Palace, located in Bhopal is the right choice for all types of travellers. 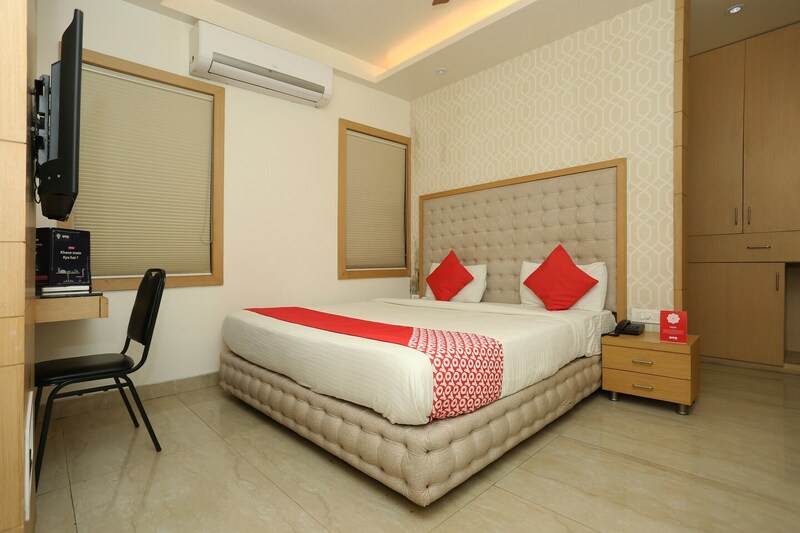 The rooms are equipped with various modern amenities for the comfort of the guests. The decor is minimalist with modern wood furnishings adding a cosy and charming glow to the room. The brick walls in the lobby add to the overall charm of the hotel. Free Wi-Fi is available for guests, if needed, and CCTV cameras are also installed for security of the guests. The various other facilities include laundry service, parking facility and power backup for a convenient and comfortable stay.